Listen to the radio version of WLRN reporter Christine DiMattei's post on the debate to extend Fort Lauderdale's Sistrunk Boulevard further east. 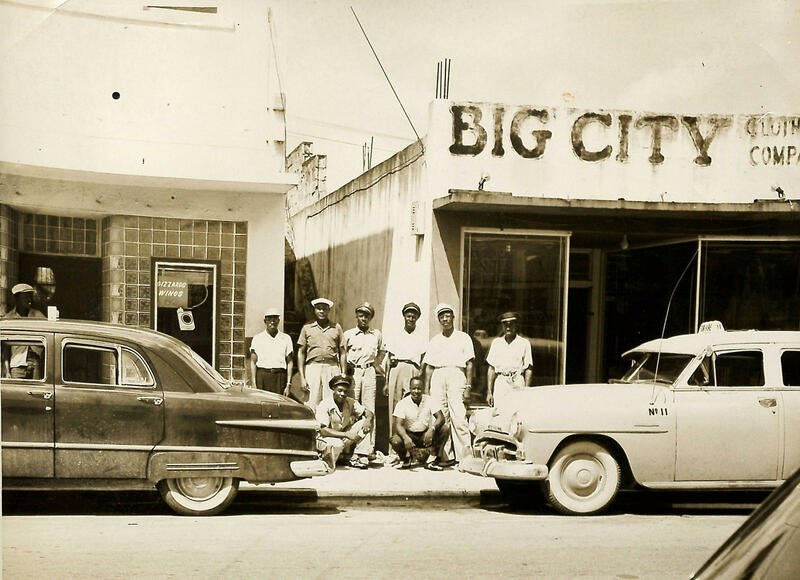 African-American men gather outside a Fort Lauderdale store, circa 1940. During segregation, blacks lived west of the railroad tracks and were forbidden from crossing to the east side after dark. In every major city, there's at least one street sign that tells black folks they're in the right place, but tells white folks that they probably took a wrong turn. For decades in Fort Lauderdale, one of those signs has read Sistrunk Boulevard. The boulevard, which runs through the city’s historically black business district, is currently at the center of a contentious debate between two communities. And the dispute is raising questions about what it takes for a neighborhood with a troubled past to rehabilitate its image. Sistrunk Boulevard currently runs west from Andrews Avenue to the edge of a mostly black neighborhood. East of Andrews, however the boulevard's name is “Northeast 6th Street,” and runs through Flagler Village, a neighborhood steadily gentrifying into a predominantly white community. A proposal to extend the Sistrunk name east through Flagler Village to Federal Highway isn’t sitting well with many of the residents. Flagler Village resident Andrew Byer said the perception of a Sistrunk corridor implies a bad neighborhood. Thanks to a $15 million infusion of city, county and federal funds, the Sistrunk Boulevard Infrastructure Project has led to more on-street parking, wider sidewalks, funky retro-style streetlights, landscape enhancements and new bus shelters. “There are just certain neighborhoods people don’t want to go walk in and don’t want to be in,” he said. Byer, 51, and his wife have been living in Flagler Village for the last two years. He said they saw the neighborhood as an up-and-coming community with great potential, both in terms of increasing property values and sheer livability. “And those of us of who do live here and are trying to develop our neighborhood and improve it would prefer to not change the name,” said Byer. “It has a history of being a blighted area,” said Waterman. “It has a history of being a focal point of crime." But 43-year-old Tresia Biaggi, who lives further west near the east end of the existing Sistrunk corridor, said she feels safe enough to walk her two small dogs along the strip, alone. Commissioner Bobby DuBose, who represents Fort Lauderdale’s predominantly African-American District Three, said extending the Sistrunk name further east is just one step in turning the Sistrunk corridor back into a thriving business community. “There are people who have come to me from all over the city – white, black, young, old, business people, not-for-profit – and they’ve weighed in on this. And they’ve said, ‘Bobby, this is something we need to do.’ "
During segregation, the boulevard now known as Sistrunk was the vibrant 'Main Street' of Fort Lauderdale's black community. The place where Sistrunk Boulevard ends and becomes "Northeast Sixth Street" lies near the traditional dividing line for many major cities -- the railroad tracks. During segregation, blacks lived west of the tracks and were forbidden from crossing over to the east side after dark. The boulevard was named in honor of Doctor James Sistrunk, a black physician who helped establish Broward County's first African-American hospital in 1938. After desegregation, Sistrunk Boulevard steadily declined from the once-vibrant "Main Street' of the city's black community to a blighted area plagued by drugs and crime. 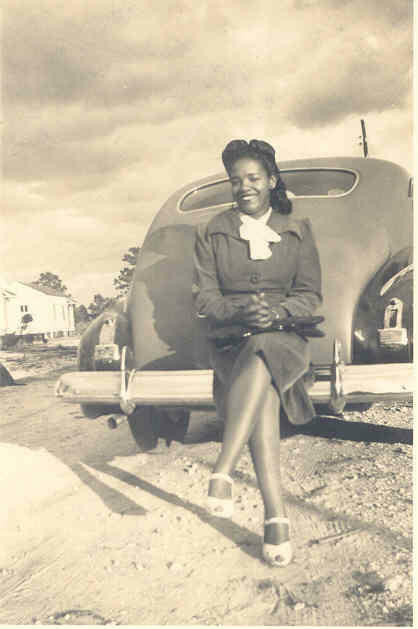 And in time, the “Sistrunk” name carried the same stigma as other streets found in major American cities. But in the debate over the future of Sistrunk Boulevard/NE 6th Street, virtually all parties seem to be gingerly side-stepping the issue of race. Said DuBose, "I don't want this to really become an issue of divide between one race and another race. Because those days in Fort Lauderdale should be way behind us." Byer said the reasons why Sistrunk has developed a bad reputation are irrevelant. “Whether it’s a racial thing or not – I have absolutely no idea,” said Byer. “What I do know is that it has a negative connotation and people don’t want it." But in recent years, that condition has improved greatly, thanks to a massive revitalization effort aimed at restoring the historic Sistrunk Corridor. The $15-million infusion of city, county and federal funds called the Sistrunk Boulevard Infrastructure Project has led to more on-street parking, wider sidewalks, funky retro-style streetlights, landscape enhancements and new bus shelters. In recent years, Sistrunk Boulevard has been acquiring a whole new look, thanks to a $15 million revitalization project. DuBose said part of the Community Redevelopment Agency’s economic improvement plan included running the Sistrunk name all the way to the city’s well-traveled stretch of Federal Highway. “Federal is a major artery within the city,” says DuBose. Last year, street signs identifying Northeast 6th Street as Sistrunk Boulevard were put up – then quickly taken down after complaints from Flagler Village residents. And a compromise that would have placed both street names on the signs was recently voted down by Flagler Village residents. The matter is still being debated by the Fort Lauderdale City Commission. But given all the opposition, Trantalis recommends tabling the matter for a few years. “If repaving a street and adding new sidewalks and bike lanes are considered enough to rehabilitate a name, then the neighborhood will have to make that decision,” says Trantalis. But Bobby DuBose says this is an opportunity for Fort Lauderdale to set an example for the rest of the country. A new map clearly demarcates the racial divide in the United States through colorful dots, showing the demographics of South Florida and highlighting the striking partitions of how we live. For example, most people know that Miami Beach is primarily a mix of white and Hispanic and that North Miami is mostly white east of Biscayne Boulevard and predominantly black on the west side. But there is more that can be read into the map. 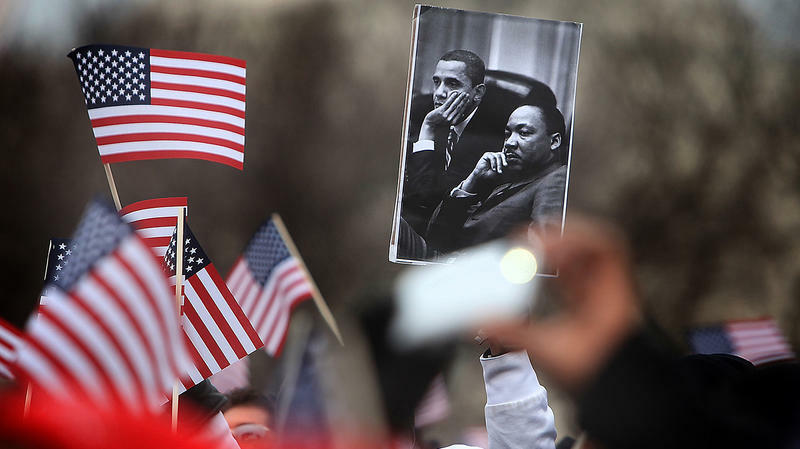 President Obama will stand in the symbolic shadows of Martin Luther King and Abraham Lincoln Wednesday, as he marks the 50th anniversary of the March on Washington. Aides say Obama will use the opportunity to celebrate the progress that's been made, thanks to the civil rights movement. He'll also discuss the work that he says still has to be done to realize King's dream of racial justice in America. That includes fighting to protect voting rights and building what the president calls "ladders of opportunity" for poor people of all races. Like at other summer camps, the young people who spent a week at MetroTown last month put on skits and competed in sports. But the purpose of MetroTown, unlike a typical recreational summer camp, is to teach students empathy. Students engaged in camp-wide discussions on race, diversity, gender, sexuality and religion. MetroTown, held July 21 to 26, is a sleepaway camp offered by the Miami Coalition of Christians and Jews and hosted by St. Thomas University in Miami Gardens. Let's coin a new stereotype right here: Latinos are mad friendly. 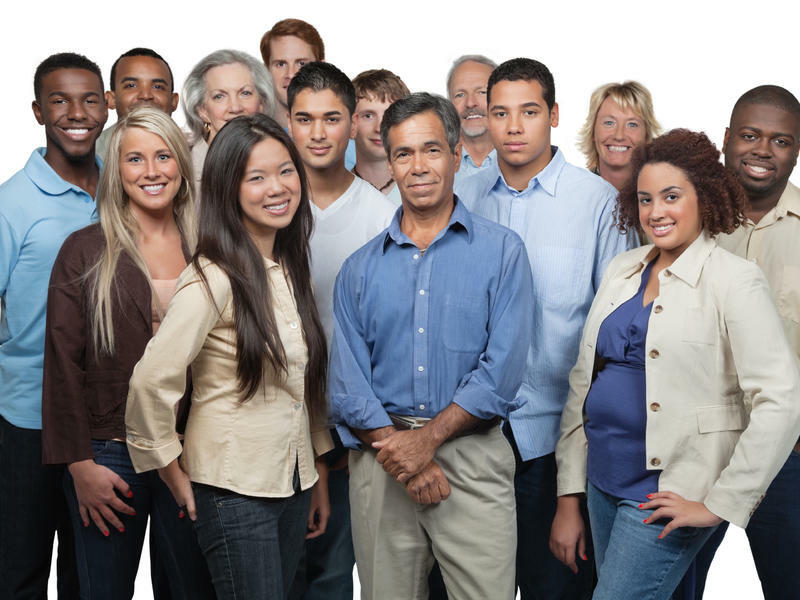 Ninety percent of Latinos said that they are friends with people of a different race, according to new poll from Reuters and Ipsos, making them much more likely than the rest of America to reach across racial lines to make friends. 'Nine out of 10 Latinos can say, some of my best friends are not-Latino,' my Code Switch teammate Hansi Lo Wang reported recently for NPR's Newscast unit. Like many young professionals, 30-year-old Chad Scott had second thoughts about his job. He was a CPA with accounting giant Ernest & Young for more than six years before becoming an internal auditor with Miami-based Burger King International. But something was missing. "I wanted a life I could live without anxiety," said the Pembroke Pines native, recalling all the times he was chained to a desk during tax season and wouldn't see the sun for days. This weekend, a devoted national and international crowd of devoted tiki-philes descends on Fort Lauderdale for The Hukilau. The annual gathering celebrates the music, history, and, of course, cocktails, associated with American midcentury tiki culture. Last week's satirical Fort Lauderdale slam by The Onion claimed the city “lacks any kind of cultural depth," something hotly disputed by locals. So, where are the cultural gems in Broward and Palm Beach counties? Don’t get fooled by the wealth of strip malls, high-rises, and balmy palm tree landscape.